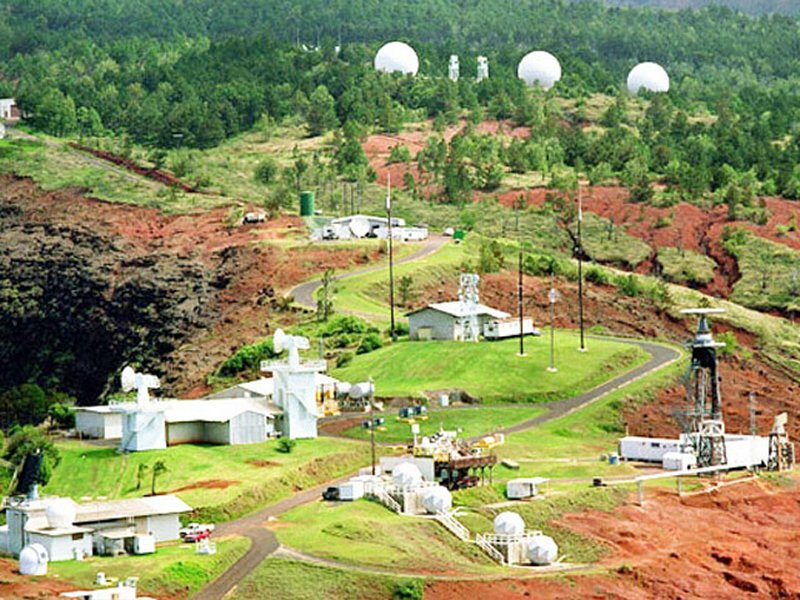 The PACMISRANFAC is located on the west side of the island of Kauai and consists of five separate areas. Barking Sands, which is the primary site, is located on the Mana Plain. The other sites are used in a supporting role and contain antennas at the base of Kamokala Ridge; Niu Ridge, currently used by the U.S. Department of Energy; and Port Allen, 16 miles to the southeast. ACCESS: The facility can be reached directly by either helicopter or fixed wing aircraft. PACMISRANFAC can also be reached by State Highway 50, which leads from the town of Lihue approximately 30 miles to the east. Commercial goods shipped to the island are off-loaded at either Lihue or Port Allen. PACMISRANFAC includes 1,925 acres of ceded land and 121 acres of land leased from the state. The leased lands include several small parcels along the perimeter. For purposes of this study, the majority of the 2,046 acres are considered as a containment area in support of the actual training sites which include the amphibious assault beach, the runways and the water training ranges. 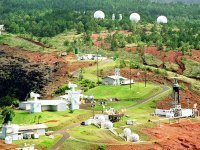 The facility maintains two instrumented underwater test ranges which lie to the west and north of Kauai. One range is approximately six miles off-shore and includes a rectangular area five miles by ten miles in size. The other range extends north from the first range for some 50 miles and includes 550 square miles of coverage. The lands surrounding PACMISRANFAC are classified as an Agricultural District; however, the installation itself is designated conservation land. The nearest urban areas are Kakaha and Waimea approximately five miles to the south. The Kauai Training Area, leased by the Marine Corps, is immediately adjacent to the PACMISRANFAC on the east. 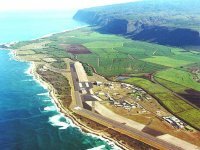 The installation is remote from the more developed portions of the island and is located at the end of State Route 50 which starts from Lihue. 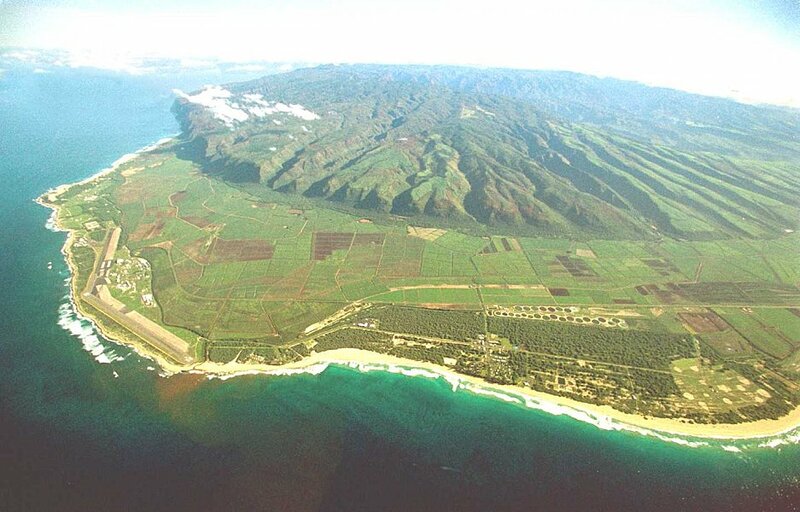 The entire Barking Sands site lies within the Mana Plain and is flat and generally free of natural restrictions. Areas used for training are limited to the beach area in the southern half of the site and the runway. The beach is extremely wide and flat and well suited for amphibious landings. The only potential restriction occurs during periods of the year when surf conditions are very rough. The runways are adequate for helicopter landing but are in a poor state of repair. The primary users of beach area and runway is the Marine Corps and National Guard. The water training areas primarily involve the ships, submarines, and planes of the Navy's Pacific Fleet. Instrumentation support is also provided to other DOD agencies. Training operations involved simulated air, sea, and subsurface tactical maneuvers using live fire of the various weapons involved. 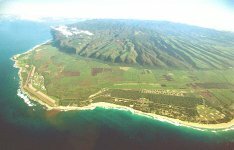 The facility monitors and records these maneuvers by a variety of underwater instrumentation and by tracking and surveillance radar at Barking Sands and at Makaha Ridge. Realistic exercises are conducted using special air, surface, and underwater targets electronically controlled by the facility coupled with unique training ordnance used by the ships, aircraft, and submarines undergoing training. Target missiles and drones are launched from the northern end of Barking sands, partially to provide target support for air defense training conducted by elements of the 25th Infantry Division. Surface and subsurface targets are tied together through a highly sophisticated electronic and computer network, providing both real-time display of exercises and data storage for post-operational analysis. The training ranges are almost completely free of any restrictions imposed by natural constraints or interference by outside factors. The area enjoys excellent year-round weather and almost total absence of commercial shipping within the range areas. The ranges are protected by being included in air and sea navigational warning and restricted zones. The training operations are considered to have little or no significant impact on the sea environment. Development of this facility began in 1940 with construction of an Army Airfield. The present PACMISRANFAC was established in 1968, when the command moved from MCAS Kaneohe Bay.